Gaining recognition far beyond his local focus in central Illinois, Dr. Timothy Bly of Bloomington, IL combines the latest spinal health technologies with the newest and most advanced chiropractic techniques to provide some of the most groundbreaking treatment programs for patients all over the U.S.
As a graduate of Palmer College of Chiropractic, Dr. Bly has earned recognition for owning and operating one of the most highly-sought chiropractic clinics in the nation. Additionally, his office is known as one of the largest student practices in the state of Illinois. Dr. Bly has earned his certification in acupuncture and has even visited China to study acupuncture there. His large 5,000 square foot state-of-the-art chiropractic facility is one of the first of its kind to make use of the Pulstar technique. This technique involves use of computers and space-age technologies – both of which help in scientifically analyzing and correcting dysfunctional spines. 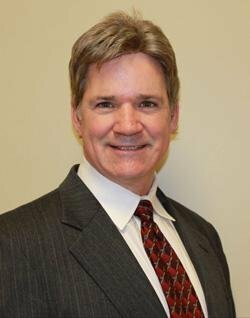 Dr. Bly is also an expert when it comes to using the latest spinal decompression techniques. He is equally adept at using cold laser therapy to both further improve his treatment as well as correct various spinal ailments. His expertise and knowledge has definitely enhanced chiropractic care. The high quality and advanced treatment programs practiced by Dr. Bly include different techniques and technologies as well as treatments. Here is a look at some of the advanced treatments offered by Dr. Bly. Laser therapy has been found to be very useful in enhancing the healing process. There are certain light frequencies that actually help to both bring down inflammation and also improve the healing process. Contrary to popular belief, the laser therapy offered by Dr. Bly does not involve strong beams of light that are capable of cutting through steel. On the contrary, the cold laser technique employed by Dr. Bly makes use of a very miniscule amount of power and the benefit to the patient comes from the light frequency instead of its intensity. There are a specific light frequencies that are capable of performing some very interesting things on patients including healing their wounds, reducing inflammation, managing pain and regenerating cells as well as reducing scar tissues. Although scientists are not uniformly sure about the exact workings of low level lasers they do know that it does work. The Pro-Adjuster is an advanced subluxation correction technique. It makes use of latest technology to provide gentle as well as efficient adjustment of the vertebrae and various joints in the body. When the chiropractor tries to adjust the spine or joints manually he or she has to rely on touch to find out the location of the subluxation. However, with Pro-Adjuster the chiropractor can make use of latest technology to perform the same actions and provide a gentler approach that is good for both very young and old patients. 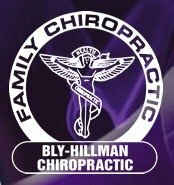 If you opt for the Pro-Adjuster technique then the Bloomington chiropractor will sit you down in a special chair and then he or she will move a small instrument (U-shaped) down the spine. At the same time, the chiropractor will touch each of your vertebras to allow Pro-Adjuster to locate areas where there is misalignment. Once this is done the chiropractor then places the instrument on the problem area and the machine will then make use of a number of gentle taps to align the vertebra. 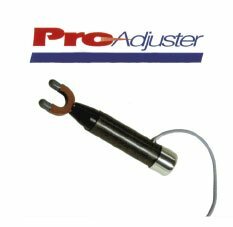 Pro-Adjuster can also be used on joints such as the shoulder and jaw. The same technique is used on the joints as on the vertebrae. You can also learn more about this Bloomington chiropractic clinic at Yelp, Facebook, and Google+. This entry was tagged bloomington, chiropractic, chiropractor, health, illinois, laser therapy, pro adjuster, spine. Bookmark the permalink.